1. In wax pattern process,we mix stearic acid and paraffin wax in wax pattern making,as you know,it is better than polyethylene,and the wax deformation is small. 2. In dipping slurry process,most of the suppliers adopt water glass technics in domestic area,but we adopt compound technics or silica sol technics.As you know, Carbon Steel Castings will be much smoother with compound technics (compound of water glass and silica sol technics),this method is so popular with our customers, and the quality is higher than water glass technics, the cost is lower than silica sol technics. 3. In shell making,we adopt automatic sand-covering production line, which was invented under the guidance of our general manager.The indoor temperature was controlled by air-conditions,keeping the temperature at 24℃±1℃, which can make the castings much more stable,the internal tissues much more well-proportioned. 4. In shell hardening process,we use aluminium chloride to harden the shell.This can make the shell so hard that it can`t be distorted,at the same time the bug which the casting may have will be decreased.If there are letters or numbers in it,they will be much clearer. 5. 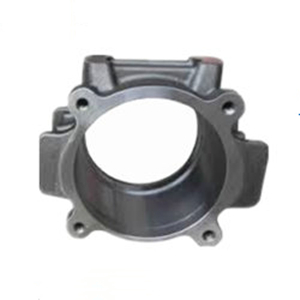 In dewaxing process,about 95% of the castings suppliers adopt the original water dewaxing technics,but we using the advanced steam dewaxing technics,which we are very proud of.This can effectively avoid the air-hole and sand-hole,making the casting look much nicer. 6. In smelt process,we use middle frequency furnace,avoiding the emergence of the oxide; in molten steel control part,we use Germany-imported direct reading spectrometer machine,assuring its quality before the molten steel out of the furnace.During this process we use ERP production and management software to get the feedback information. 7. In shell-knock out process,we have special machines,which can decrease the hitting and knocking, easily made by manual shell knocking out. 8. In shot-blasting process,we have crawler-type and hanging shot-blasting machine,with steel shot 0.5-0.8,making the products smooth.Of course,if the customer wants it look much nicer,we also can carry out sand-blast treatment. 9. In heat treatment process,we use electric furnace,and adopt double-temperature control in order to heat the products equally.As a result, the products will have great metallurgical structure. 10. Our tolerance can reach at the grade of 5-7 according to our country`s tolerance standard. 11. In machining process,we have 12 CNC machining centers and some other machines, so we can make further machining if the customers need. 12. Before package,we use the automatic drying machine to heighten the drying efficiency and make special treatment against rust in the transportation. 13. About package,we adopt Europe standardized fumigation-free wooden case. 14. About dimension measurement, we have 2 three-coordinates measuring machines; and about hardness measurement, we have brinell hardness tester and Rockwell hardness tester. 15. It should be noted that our manager is stepping with the pace of the information age,he invited the professor in the University of Shandong Province to create a special production and management software which we call ERP. This software makes every workshop connect with the management class,so that we can control the quality in every process in time,and we can store the information in order to inquire and manage.Only one goal:Quality is our unremitting pursuit! 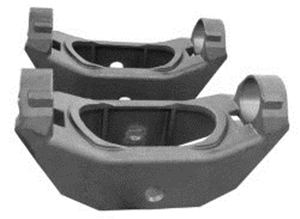 Looking for ideal Precision Foundry for Ship Parts Manufacturer & supplier ? We have a wide selection at great prices to help you get creative. All the Investment Foundry Product are quality guaranteed. 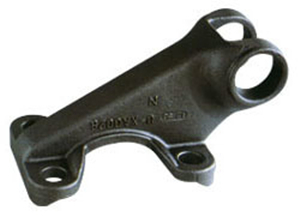 We are China Origin Factory of Carbon Steel of Precision casting . If you have any question, please feel free to contact us. 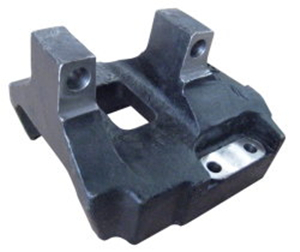 Copyright © 2019 Wei fang junlong precision casting Co.,Ltd All rights reserved.